The most anticipated feature of the game is a massive creature called the Sea Emperor; soon, these beautiful concept images will be realized. The game offers a wide range of vehicles to aid the player in getting around the environment, including a full-size submarine and a PRAWN bodysuit. At this point, Subnautica feels like it's been around forever. It was released for early access on December 16, 2014, and has gone through multiple updates and patches in the years it's been available. Old news, right? Wrong. 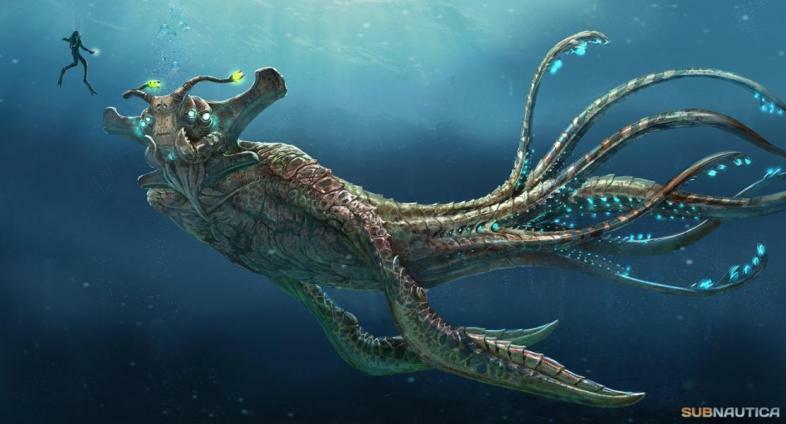 There are rumors floating around the industry that Subnautica is finally nearing completion. After countless updates and complete overhauls, the popular open world survival and exploration game may be reaching its peak. Along with several UI updates and additions to the equipment and resources available within the game, these updates have been revealing some elements of the game's subplot. The environments in Subnautica vary extensively, and each has their own native resources, plant life, landscape and creatures living within them. As the game has developed, more areas have become open for exploration. Players exploring these new locations have begun discovering evidence of a terrible disease that is plaguing the ocean they are in. Players have the opportunity to explore a series of large underwater labs that are filled with not only plans for certain technologies, but information on what might be going on with the Reapers and the disease. It has also been discovered that the player themselves can get infected with this mystery disease, and finding a cure might become a central gameplay objective in later updates. Though the technologies presented in the game are incredibly advanced, there is little evidence of any weaponry that can be created. Subnautica is an extremely popular game, and though it appears to be nearing completion, there is no indication that the developers intend to stop updating it. It's possible that this beautiful, mysterious underwater world will continue to evolve and expand indefinitely, which is also an exciting prospect. You can follow the game's progress on their website or on their Facebook, Twitter, or YouTube accounts. I divide my time between playing games at unholy hours of the night and writing about them; occasionally I allot moments for sleep and refueling.